In today’s world of mass-produced assembly line products, where functionality trumps aesthetics, products that are simply beautifully made are increasingly in demand. This is true of glasses and sunglasses as well, and that’s why we love Walter & Herbert. 70 years ago, two young entrepreneurs, Walter Conway and Herbert Thorn, created Optoplast Manufacturing Company Limited. They were based in Guildford in Surrey with a team of just six people, but soon began to make a name for themselves. As well as launching the first range of optical frames for the NHS in 1948, Walter and Herbert were also developing technology that would change the way spectacles are manufactured around the world. They created the PIMO machine, which could insert metal reinforcements into the sides of acetate spectacles with complete precision. Producing two temples a second, they were soon exporting over five million a year to 11 countries. Walter & Herbert today are continuing with their engineering heritage. They use a combination of classic techniques and modern technologies to produce frames that not only look attractive but feel beautiful as well. The frames are designed in offices just outside London, and are manufactured at their UKAS-accredited factory in Liverpool. By choosing to keep their whole manufacturing process in England, Walter & Herbert can oversee production in person, helping to retain the highest possible product quality and British safety standards. This level of care and quality control forms the basis of Walter & Herbert’s new range, Made in England. It consists of 20 sunglasses and over 60 optical frames, each of which is thoughtfully designed, with a retro look but thoroughly modern, clean lines. Most of the collection is largely unisex, although there are both men’s and women’s frames too. It takes its design inspiration from the postwar period of Optoplast’s beginnings in the 1940s, 1950s and 1960s, creating beautiful modern frames with a retro feel. 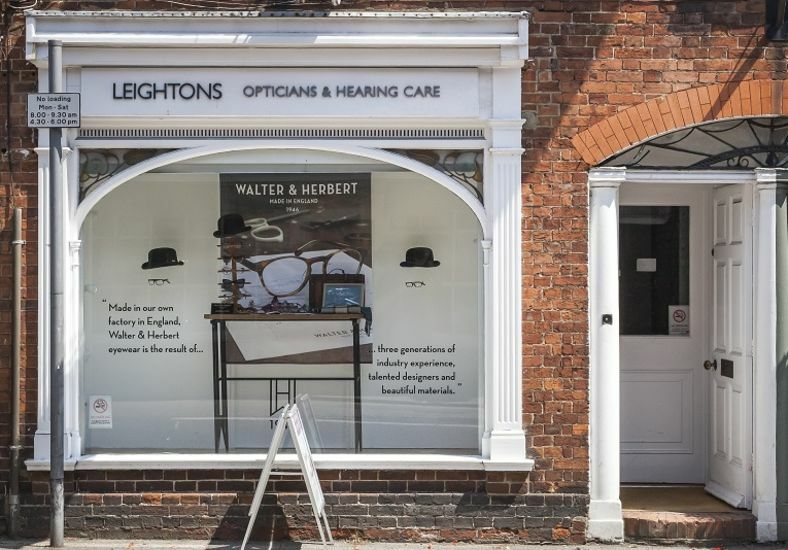 You can see the exquisite craftsmanship of Walter & Herbert glasses and sunglasses for yourself at Leightons. We love the collaboration between our two third-generation family businesses – to see which branches the collection currently features in visit the Walter & Herbert brand page. 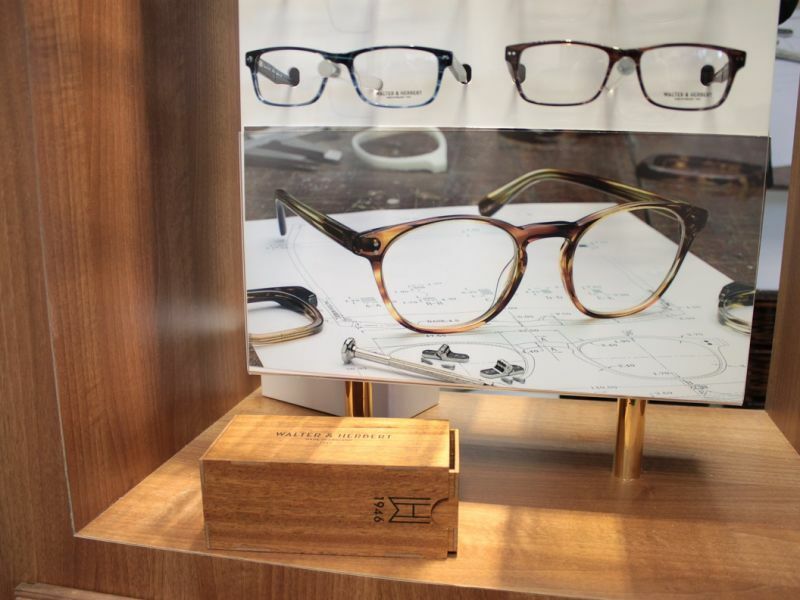 Our fully-qualified dispensing opticians will be on hand to help you choose a pair that suits your style and the shape of your face, and make sure they fit you perfectly. If required we can also fit your prescription lenses in the frames, whether glasses or sunglasses. If you think your prescription may have changed, you can [book an eye exam online] or call us on 0800 40 20 20.